These days, there are more mobile devices in hospitals than there are people. And those smartphones and tablets often carry the same germs as the patients and visitors who wield them. Modern healthcare providers rely on mobile devices to boost clinician productivity, enhance the patient experience and achieve other mission-critical goals. This technology includes the smartphones that care teams use to collaborate and access patient information, and the tablets they use to educate and entertain patients. The challenge is that all these shared devices must remain disinfected when passed between patients, and also require data wiping. Going through these processes manually takes time, which is something hospital staff don’t have to spare. That’s why ReadyDock, developer of UV disinfecting stations for mobile devices, has partnered with Samsung to create a solution that disinfects a device’s germs and wipes patient data at the same time. The patient health implications of Hospital-Acquired Infections (HAIs) and Hospital-Acquired Conditions (HACs) are significant. In addition, hospitals face a potentially serious financial cost. Under the Affordable Care Act HAC Reduction Program, aimed at providing an incentive for hospitals to reduce HACs, hospitals ranking in the lower quartile of a risk-adjusted assessment are subject to a reduction in payments of 1 percent. Although considerable progress has been made in preventing HAIs and HACs, in Fiscal Year 2017, 769 of 3,203 hospitals ranked in that bottom quartile, and were, therefore, potentially subject to payment reductions, according to the Centers for Medicare & Medicaid Services. David Engelhardt, founder, president and inventor of ReadyDock, spent years helping hospitals roll out mobile devices for oncology patients. That’s when he discovered the need for a better disinfecting process between users. 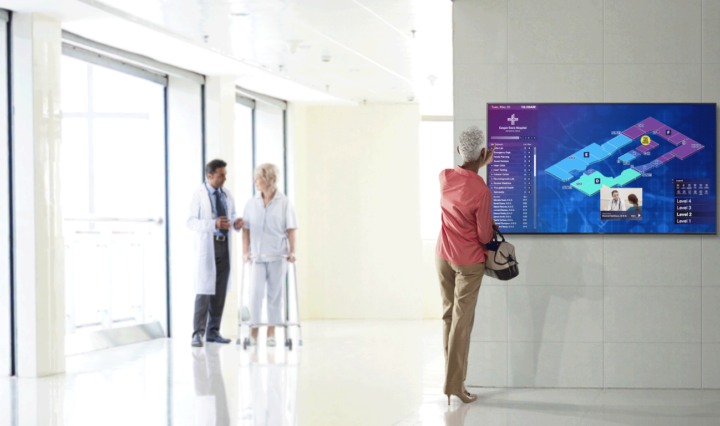 Digital technology can improve the patient experience at every step of the hospital stay. ReadyDock’s UV disinfection technology has been proven clinically effective by microbiologists at Yale, UConn and other prestigious universities, and ReadyDock products are now in use at more than 60 hospitals nationwide. When tablets are passed between patients, safety isn’t the only concern. There’s also the security of patient data. To keep patients protected, not only do clinicians need to disinfect shared devices, IT also needs to reset them to pre-patient use. This puts a burden on already strained IT staff and often leaves tablets out of circulation until someone can get around to cleaning them — inside and out. The new ReadyDock RD5 with Samsung Double Disinfection addresses both concerns at the same time. The solution combines ReadyDock’s RD5 charging, disinfecting and locking station with Samsung tablets and Tachyon software. During the disinfection process, ReadyDock triggers the Tachyon software, which takes care of data wiping without IT intervention. The process combines disinfection, data wiping, charging and locking of shared devices in a single step. ReadyDock RD5 with Samsung Double Disinfection will premiere at HIMSS 2017 at the Orange County Convention Center in Orlando, Florida from February 19-23.